Shopping for a new Cadillac CTS? The 2019 Cadillac CTS V-Sport is a serious bargain, offering similar thrills to the 640-horsepower CTS-V at a major discount. With each passing year, luxury sedans like the 2019 Cadillac CTS seem to fade further into the rearview mirror in favor of crossovers, trucks, and SUVs. The 2019 CTS isn’t shy about what’s underneath, either, with a crisp design that sports large, vertical LED headlights, some aggressive exhaust ports, and handsome proportions. The interior is subdued and marries angles and curves nicely. 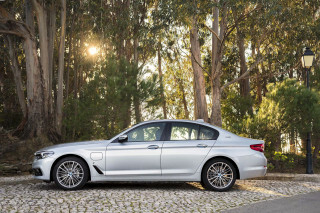 Power comes from a trio of engines, including a 268-horsepower turbocharged inline-4, a 335-hp V-6, or the potent 420-horsepower twin-turbo V-6 in the V-Sport. The rip-roaring 640-hp CTS-V is covered in a separate review. Most CTS buyers opt for the tried-and-true V-6, which doesn’t disappoint and reaches 60 mph in just 6 seconds. The V-Sport cuts that time to just 4.7 seconds, almost passing for a super sports sedan. The only transmission available is an 8-speed automatic, which shifts cleanly and somewhat swiftly in all models. Every CTS comes available with all-wheel drive minus the V-Sport. Sharing its underpinnings with the smaller and nimbler ATS, the CTS is a deft handler, and those who opt for the adaptive shocks will find them well worth the price. Though the backseat and trunk are on the smaller side, front seat occupants will be plenty comfortable thanks to bolstered thrones. Rear seat passengers will have to duck under the swept roof to enter and may find legroom pretty tight. The NHTSA gives the CTS five stars overall, but the IIHS notes that the CTS only receives a “Marginal” rating in the tough front small-overlap test. Automatic emergency braking is frustratingly only available on the V-Sport and Premium Luxury models, but Cadillac packs blind-spot monitors and forward-collision warnings into all CTS sedans. Though somewhat short on safety tech, the CTS features a 12.3-inch instrument cluster display and an 8.0-inch touchscreen for infotainment with Apple CarPlay and Android Auto. A nifty rearview mirror that doubles as a display for a camera adds more visibility behind the car. The 2019 Cadillac CTS still wears its sheet metal with pride, but is starting to show some age inside. Since debuting in 2014, the CTS hasn’t been messed with much, and frankly, it hasn’t needed to be. The sleek shape wears both curves and angles nicely, and the tall headlights and taillights are a Cadillac signature at this point. Inside, the cabin is quiet and reserved, though certainly starting to show its age. A single trim piece runs across the dashboard, and leather, wood, and soft-touch plastics show just how well Cadillac can outfit an interior these days. Things get more interesting when you opt for a two-tone leather package. The highlight of the interior, however, is the pair of screens. The CTS sports two massive ones, one for gauges and another for infotainment. The optional 12.3-inch cluster is sharp and easy to read, and the 8.0-inch touchscreen is one of our favorites, having worked out the kinks of some of the previous systems. If you want the best out of the 2019 Cadillac CTS, opt for V-Sport above all else. 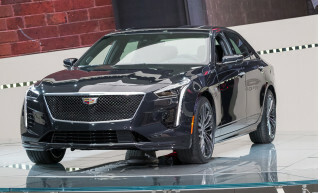 Unlike Cadillacs of yore, the high point of the 2019 Cadillac CTS is its handling, and the V-Sport model makes a serious case for a sport sedan. At its core, the CTS shares a lot in common with the smaller ATS, sporting many of the same powertrain options. A 2.0-liter turbocharged four-cylinder that makes 268 horsepower and 295 pound-feet of torque motivates the base model, and with the 8-speed automatic transmission that’s standard across the range, it manages decent speed and quiet cruising. Stepping up to the popular 3.6-liter V-6 nets 335 hp and 285 pound-feet, which is more than enough for most daily uses. At the top of the range, the V-Sport provides some serious performance credentials, with a 3.6-liter twin-turbo V-6 that makes a whopping 420 hp and 430 pound-feet, available only in rear-wheel drive. This near-super sedan reaches 60 mph in just 4.6 seconds and manages a top speed of 170 mph, and it’s still not the most powerful CTS out there. The four-cylinder and naturally-aspirated V-6 are both available with all-wheel drive, but the V-Sport can only be had with rear-wheel drive. At 3,616 pounds, the CTS is surprisingly lightweight, helping performance greatly. 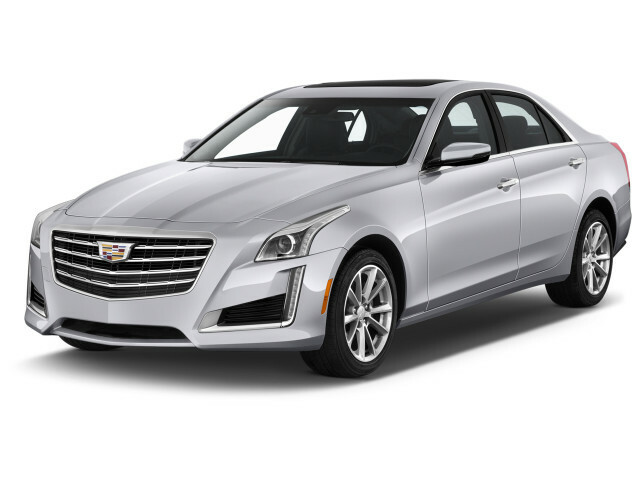 In terms of handling, the CTS is among the best in its class, especially in V-Sport guise, which adds 18- or 19-inch Pirelli tires, a quicker steering ratio, a track mode, magnetic suspension, an electronic limited-slip differential, and bigger front brakes. The 2019 Cadillac CTS delivers just enough comfort and build quality to overlook a tight back seat and small trunk. Though it technically qualifies as a midsize sedan, the 2019 Cadillac CTS is much tighter inside than its competitors. The excellent 20-way power-adjustable front seats provide solid bolstering and ample comfort, though headroom is tighter with a moonroof equipped. 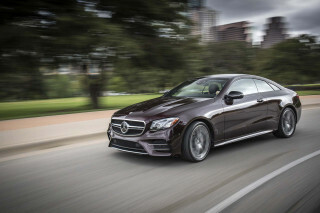 Out back, there’s 35.4 inches of legroom, which pales in comparison to larger competitors like the Mercedes-Benz E-Class. The low, sleek roofline looks great, but makes rear seat ingress and egress a pain, and cuts down on headroom. Thanks to great build quality and ample sound deadening, the CTS is silent in most situations, and the Bose audio system features active noise cancellation for an even more serene experience. It should be noted that the trunk is relatively small compared to Cadillacs of yore, so if you need lots of passenger and cargo space, it may be wise to look elsewhere. The 2019 Cadillac CTS should come with more standard active safety tech. The NHTSA gave the 2018 CTS five stars across the board, but in the IIHS’ tests, it received a “Marginal” small front overlap test, which means it’s ineligible for a Top Safety Pick award. The CTS doesn’t make up for this with an exceptionally high level of safety gear. Although a rearview camera and parking sensors are standard fare, blind-spot monitors, active lane control, forward collision warnings, and automatic emergency braking require spending more for option packages. That’s a shame since cars a fraction the CTS’ price come standard with that gear. The CTS also offers a surround-view camera and trick rear camera mirror, which can help visibility greatly. 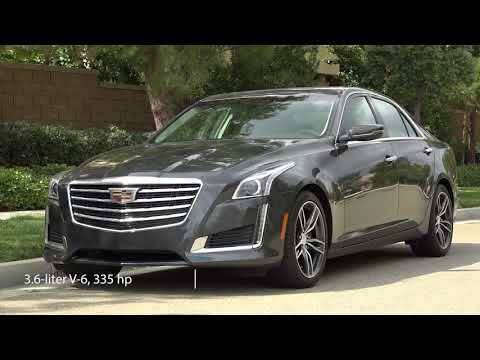 Lavish tech and a great warranty set the 2019 Cadillac CTS apart despite its age. The base CTS ofincludesfers power seat adjustment, cruise control, a rearview camera, rear parking sensors, an 11-speaker Bose audio system, three USB ports, and Bluetooth. It also comes with an 8.0-inch touchscreen infotainment system that is finally in line with other modern systems and packs Apple CarPlay and Android Auto. The Luxury trim adds a power tilt and telescope steering wheel, leather upholstery, and a panoramic moonroof. Options include a rear camera mirror and adaptive shocks, as well as handsome 18-inch wheels. The Premium trim gets the V-6 engine as standard as well as a surround-view camera, automatic parking assist, a color head-up display, automatic climate control, and the 12.3-inch digital gauge cluster. Opting for the V-Sport adds summer tires, strong brakes, a limited-slip rear differential, and a Track mode. Fuel economy isn’t the 2019 Cadillac CTS’s strong point, which manages a maximum of 25 mpg overall. Numbers for the 2019 Cadillac CTS drop slightly from last year's EPA ratings. 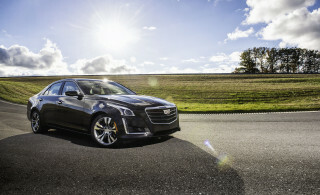 The agency pegs the CTS four-cylinder at 22 mpg city, 30 highway, and 25 combined, and those numbers drop to 21/29/24 mpg with all-wheel drive equipped. The V-6 model manages 19/29/23 mpg or 18/26/21 mpg with all-wheel drive, and the twin-turbo V-Sport can only reach 16/24/19 mpg overall, so be prepared to pay the price for performance at the pump. 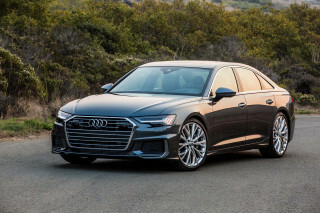 Despite fuel-saving features like active grille shutters and stop/start, the CTS figures are just barely in the same league as the Audi A6 and Volvo S90, even though the Cadillac is lighter than both. Also, there’s no plug-in hybrid tech available, but the larger, more expensive CT6 sedan does feature the option.